This Ruia website and its companion site (on school–whānau partnerships) have been developed for school leaders and teachers. They support government policies and are based on evidence from research and practice. He Kākano (a national professional development programme for English-medium secondary and area schools). School leaders are responsible for implementing their schools’ appraisal policies. Research shows that effective school leaders focus on practices that will have a positive impact on learning for teachers and students. This Ruia website promotes practices that are proven to work across a range of contexts. School leaders can use it to fine-tune their appraisal practices in ways that lead to improved outcomes for Māori students. Because effective appraisal interrogates the relationship between teachers’ actions and their students’ learning, parts of this website are also for teachers. By using this site, teachers will have more sense of ownership of the appraisal process as it contributes to cycles of professional learning that lead to improved outcomes for Māori students. Boards of trustees are responsible for developing appraisal policies and monitoring their implementation. Boards can use this website to gain an understanding of how appraisal can lift learning for both teachers and students. The Ruia websites are a response to the persistent statistics showing that not enough Māori students are getting the opportunities they need to achieve educational success and participate confidently and actively in the world beyond. Educators in all parts of the system share the responsibility for addressing this issue as a matter of urgency. 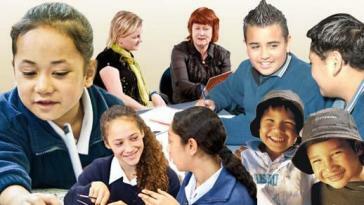 Ruia has a direct and serious focus on improving outcomes for Māori students. Ruia is also a response to messages from policy and research. The Ministry of Education’s policy for Māori students is described in Ka Hikitia. Ka Hikitia’s strategic intent is for Māori to enjoy and achieve education success as Māori. This means having an education system that provides all Māori learners with the opportunity to get what they require to realise their own unique potential and succeed in their lives as Māori. review and improvement of that practice. continuously improve their practice and understand what their next steps should be. Both Ruia websites are organised around an inquiry and knowledge-building cycle. Users will take an inquiry approach, working through a planned cycle of inquiry focused on an issue that has been identified as a priority for furthering Māori student achievement. An inquiry approach means that users look for evidence and question their assumptions. They reflect on what it is that they do and do not know. This process is a personal matter. Individuals have to reflect on themselves and on the impact of their words and actions on others. The process also involves inquiring alongside others who share the same interests and concerns. Research shows that there are many missed opportunities to improve learning through teacher appraisal. However, many schools do use appraisal as an integral part of their professional learning, directly informed by student progress and the outcomes that are valued by the community. A common feature of these schools is that they are committed to self-review and inquiry. Teachers and in-school leaders are prepared to be vulnerable and to question their own beliefs and assumptions. They learn from their peers and their community, and they respond to what they learn. This Ruia website draws on the experience of schools that have developed successful appraisal-for-learning practices. The case studies show examples of what these schools are doing to align teacher appraisal with professional learning to improve educational outcomes for their Māori students. Project leader: Simon Chiaroni (Learning Media). the development of educationally powerful partnerships with parents and whānau. The reference group started by looking at what has been shown to work in making a difference to Māori student achievement. The group wanted to know more about what was going on in schools in which Māori students were achieving success. Two members of the group went out into schools and interviewed school leaders, teachers, and parents. This experience, often profoundly moving, added considerably to the reference group’s understandings about effective school–whānau relationships and teacher appraisal. The group would like to acknowledge the contribution of these wise and passionate parents, teachers, and leaders to the creation of these websites. The group’s next task was to draw together the evidence from research and the Ruia reference group’s own inquiry to shape up these websites. The challenge was to create new resources that would achieve their purpose, would not duplicate others, and would align with schools’ existing processes and practices. The group went to the literature about ‘smart tools’ to ensure that the two new websites would meet those criteria. An initial draft was then refined over time through iterative feedback from the reference group and through evaluation by a group of school leaders.